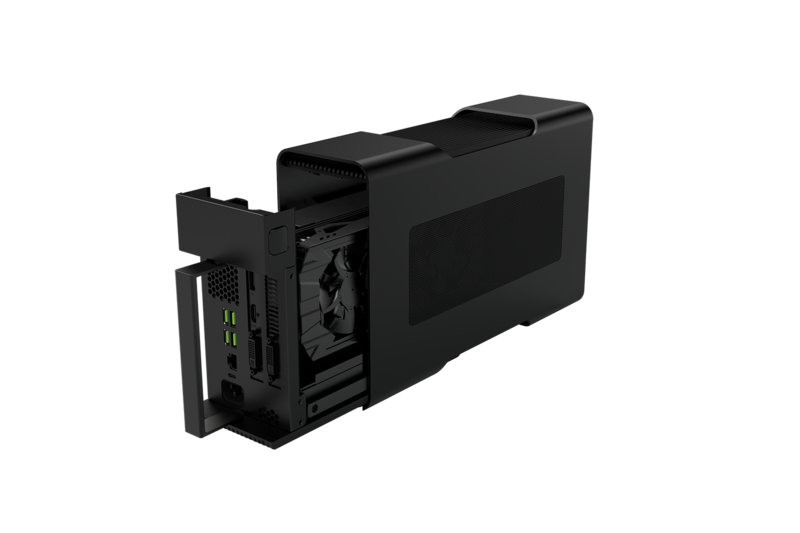 If only the egpu chassis would be compatible with any other TB3 laptops (hotplugable and reasonably priced), this would truly expand the possibility of egpu and TB3. Lets hope more products like this will come. 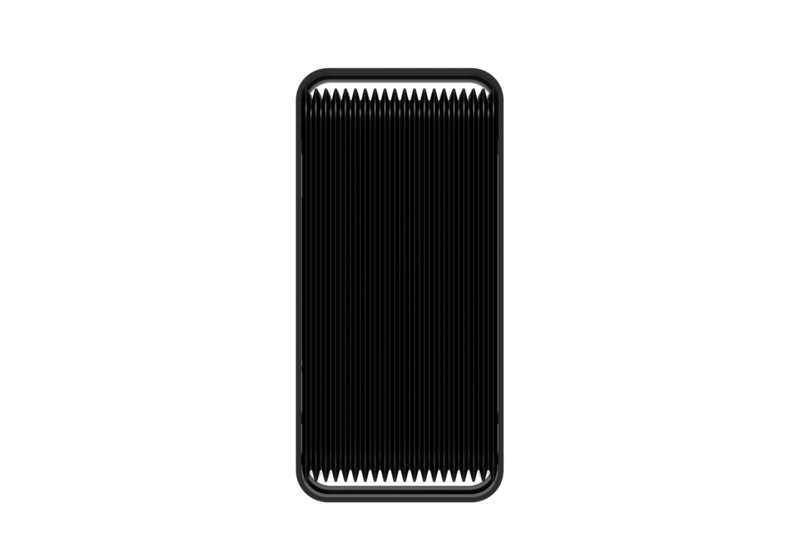 Might as well re-post the details we know so far about the Razore Core enclosure from https://www.techinferno.com/index.php?/forums/topic/7891-intel-unveils-thunderbolt-30-mentions-external-graphics-skylake-q4-2015/&do=findComment&comment=135226 since it's getting a fair bit of interest. 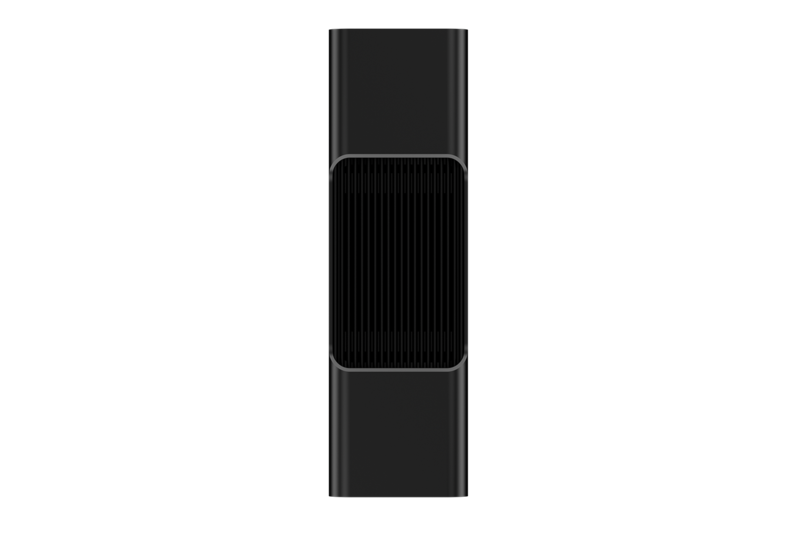 But what’s really exciting is the Thunderbolt 3 connector it uses, in the form of USB Type-C. Thunderbolt 3 supports up to 40 Gb/s of bandwidth, and there’s absolutely nothing proprietary about the design. 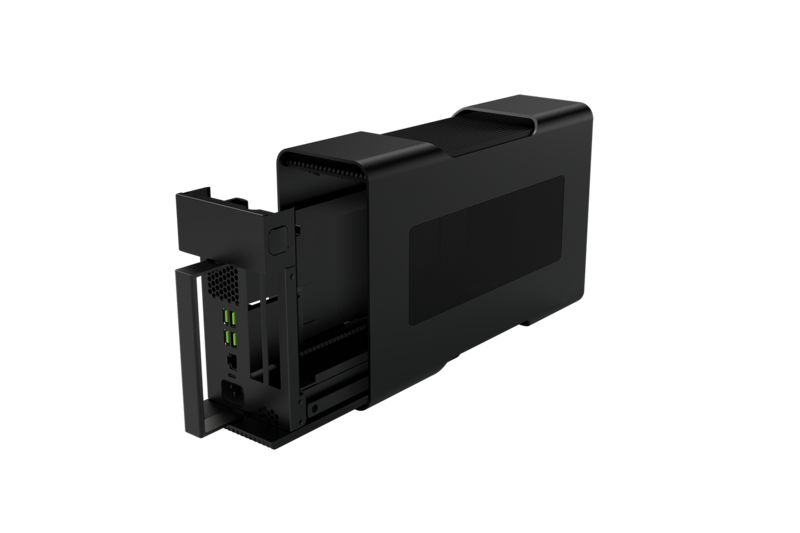 The dream is tantalizingly close--a single graphics card enclosure that could work with a wide range of laptops and turn any portable into a real gaming champion. 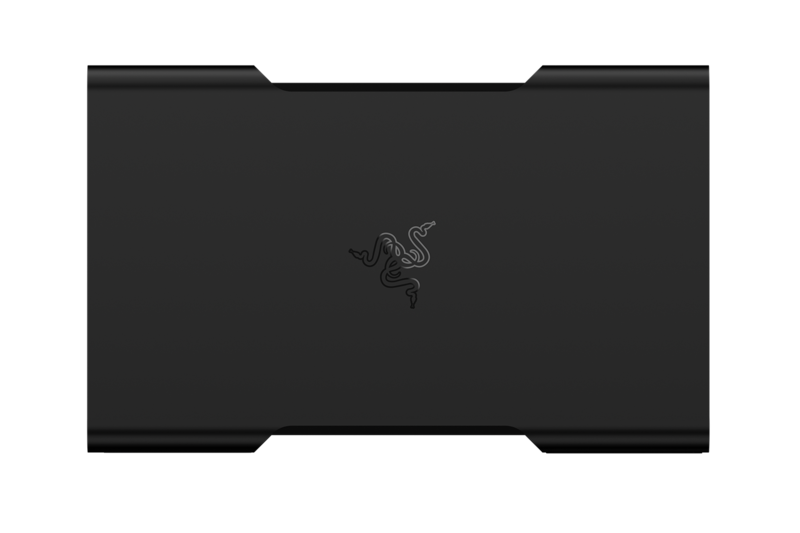 With the ability to connect gaming peripherals to Razer Core’s additional I/O ports, you can easily transform your Razer Blade Stealth into a full gaming setup. 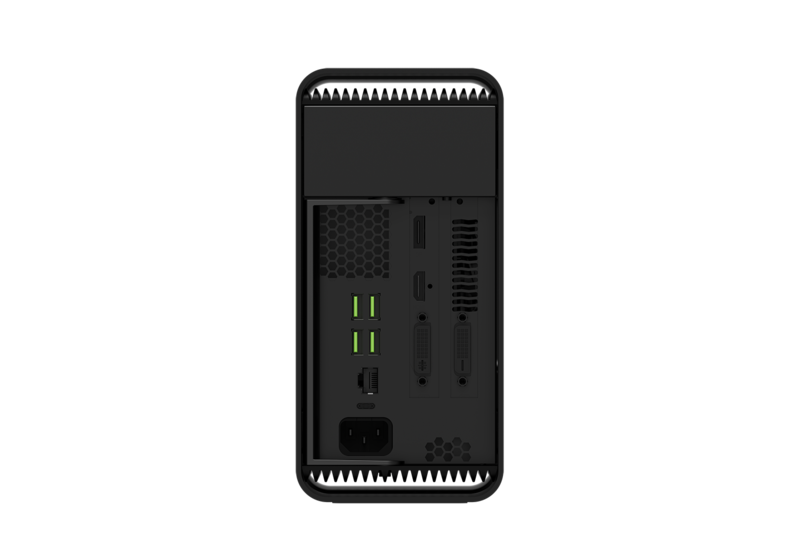 Complete with 4 USB 3.0 ports and Ethernet, the Razer Core makes it incredibly easy for you to connect all your devices. By using a single USB-C connection to your notebook, this stellar graphics dock provides you with both data transfer and notebook charging without any hassle. There's nothing to suggest it won't be as I don't see anything proprietary about it. Although there could be specific software needed on the notebook to make it work which wouldn't be surprising. That is exactly what I am worrying about. Even though nothing about their hardware is proprietary, there has to be some sort of special software optimization involved (so that they can sell more of their Stealth Ultrabook?). 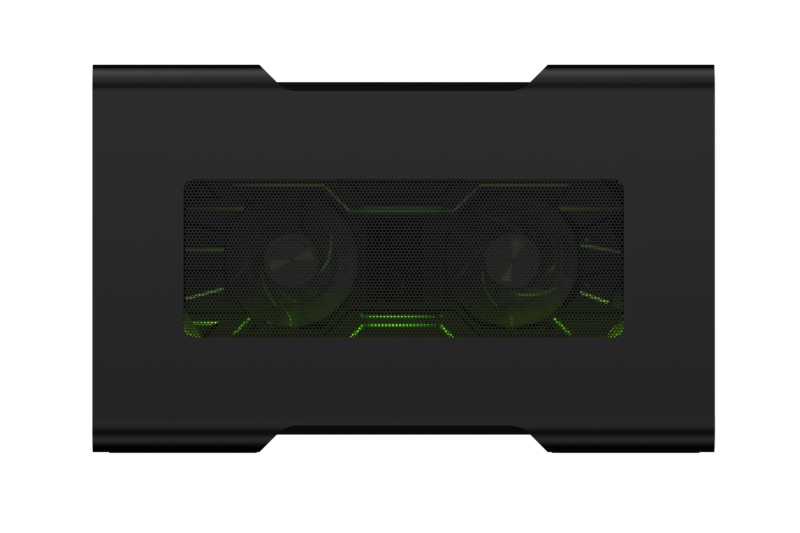 Together with Razer's usual pricing range, this might not be practical for those who would at first be interested. For me this has to be priced below 350$ to be considerable. It would be very nice to pair the Razer Core with any other notebook, preferably one with a stronger CPU, but there might be a good chance Razer will lock it out somehow to discourage this or price it high enough that they make a nice profit regardless. I'm sure we'll have third party vendors create solutions that are open and able to used with anything as Thunderbolt 3 seems to be a nice upgrade from TB2. Why would they use UHD/4K screen on a 12" laptop is the real question here...you'd probably use the picture scaling function right away to make text & icons look larger but then it would become all blurry and not as crystal clear as before. Even when considering you have your Stealth hooked up to Core then for max settings 4K gaming you'd need at least a GTX980 w 6GB of memory at least. That's gonna cost you a bit extra to get the GTX980. I bet that Stealth can't even play Vimeo 4K videos normally without the Core being hooked up...it would lag as hell. Even with scaling the 4k desktop space can be a boon for productivity purposes. However, for those that want it strictly for gaming and light work (e.g. school), the QHD option is obviously the way to go. 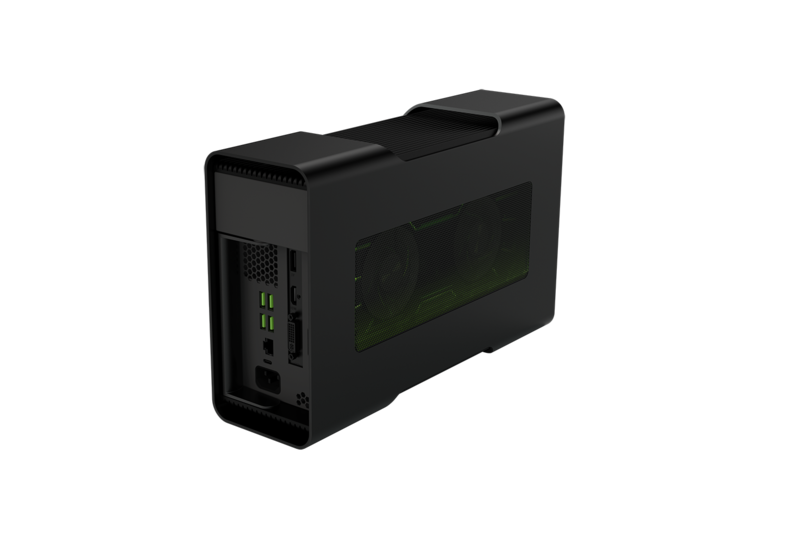 Love the concept, hopefully the price won't be too crazy but I like the whole idea of the eGPU, anyone know if the core will take any 980ti cards like the ASUS Strix or EVGA SC ? Or any 980ti cards? What pin connectors does it use? Would a 980ti be overkill with the CPU inside the Stealth? Any opinions on what would be a good match? It would be amazing for Razer to sell the CORE as a stand alone unit and work for other thunderbolt equipped laptops, I just like the elegant simplicity of how it potentially all works. The Stealth actually only has integrated Intel HD 520 graphics inside, which aren't terribly good for gaming, but at CES I was able to play Fallout 4 at a high 1080p resolution on maximum settings at a buttery 90 frames per second with a Core attached -- one with an Nvidia GTX 980 Ti graphics card inside. However, with the ultrabook being dual core means it will probably be a bottleneck for a top end card like the 980 Ti which is disappointing. But if the Razer Core can be used with other notebooks and is not proprietary, then I'd buy it and pair it with a better laptop that has a full core i7 quad core processor. This new razor laptop looks like a serious competitor to a macbook pro, and it also almost shares the same design. Until now Apple's Macbook pro and Air series have been superior when you look at ultrabooks for the past years with their design, battery time and performance. But maybe it is just because the other producers of windows ultrabooks have been sloppy with their development of ultrabooks? 500 $ without a video card is not a good price. The laptop costs much more than 500 dollars(about +1000 dollars). 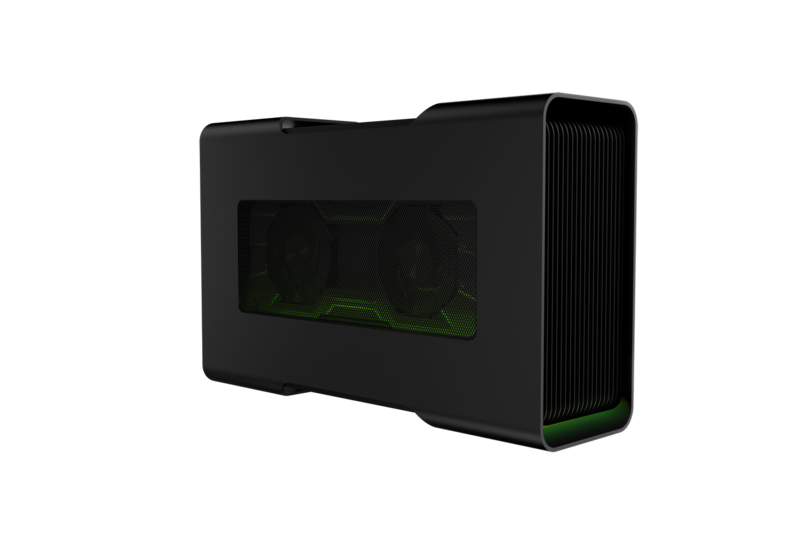 Its only the graphic attachment/eGPU box which will cost 500 dollars(without a graphic card I believe?). If you ever looked into the ultrabook marked, you would be surprised what the price of these small machines because they are indeed overpriced(both producers of windows and Apple). But you are not paying for the graphics card and strong performence but rather a energy efficient processor with decent performance, small portable laptop design and a long battery life. All what this razor laptop is aimed to reach like a MacBook Pro. 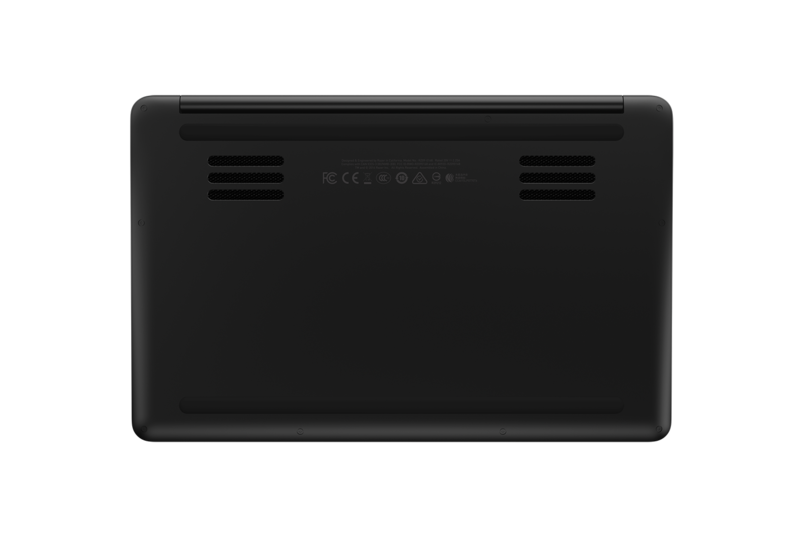 The target group of ultrabooks are not gamers but rather for people who use their laptop for working and school, and need something light and portable with good battery time. 7-11 hours per charge is a little more useful than 3-4 hours for the normal cheap laptops. 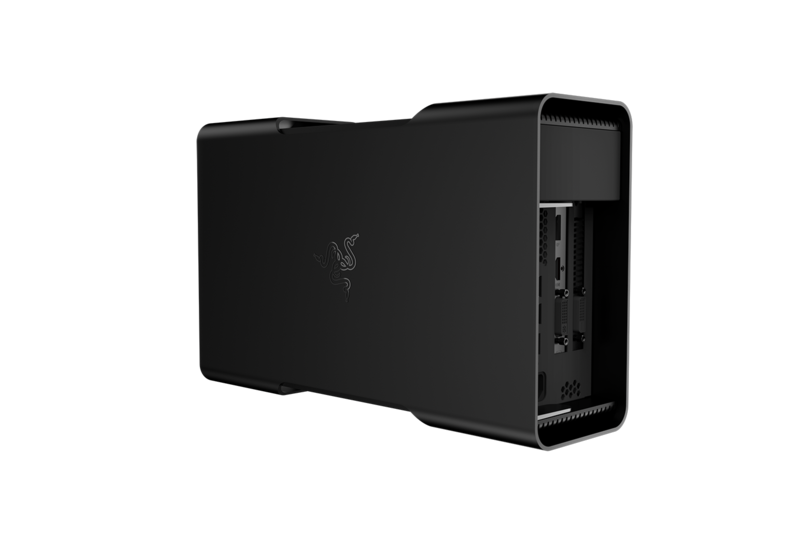 But Razor changes everything with its Razor Core which brings features of the Ultrabook together with gaming, which nobody as I know have done before. In all honesty at this price point I'd just get a pre-owned Alienware 13 and a graphics extender which is essentially the same thing. I wonder if anyone has gotten this to work with any Apple Hardware with TB2 or TB1? This looks sweet! Best of both worlds. 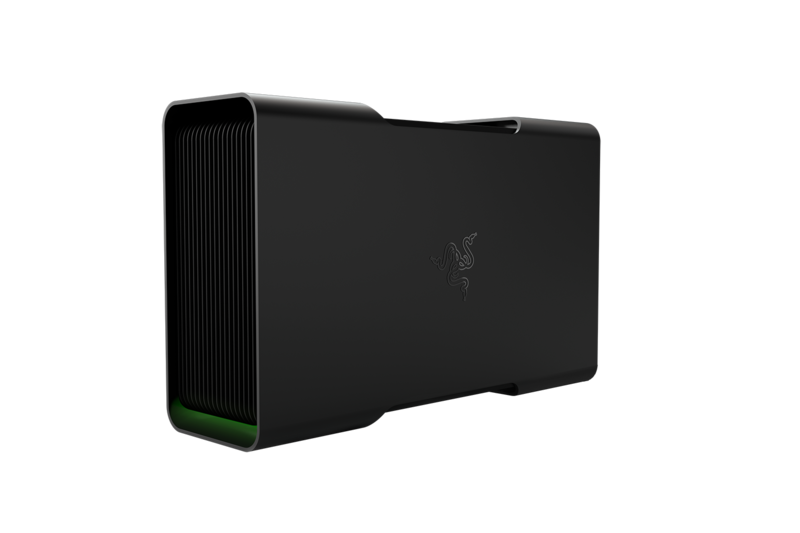 Question if i have to choose between the razer core or any other thunderbolt 3 solution for an xps13 which should i choose? I love the idea, but it's not exactly portable. For me that kind of defeats the purpose. On the other hand, if it really works on anything with a TB3 port, AND the price were cut in half, it would make an amazing docking station. It could be a big hit in the custom desktop/case modding world too. Has anyone here gotten to play with one of these yet? I had an M17 with the amplifier and I really think it's not great. In the alienware case we have to restart the pc, but especially there is little interest. Both have a desktop pc. Not so good to be not portable with amplifier. I was seriously considering this type of setup from Razer a few months back for a dual laptop/desktop replacement but ended up just building a complete desktop after all. I like the concept but price for laptop and the auxiliary stuff...yikes. Thats Razor Cult 4 you. Pay the money for BGA, and pls pay more money to be able to game on it. Have fun. You are not alone, Apple does the same thing.